Today’s IT progress moves almost every business forward. It focuses on customers and is looking for the easiest ways how to best serve them. Of course, the IT progress takes care of increasing company’s revenues as well. This fact pushes businesses to purchase the newest technology available. At the same time, the IT’s goal is to support the company at the lowest cost possible. Sometimes, these priorities are in competition or at odds. Also, one of the IT progress advantages is the opportunity to make deals all over the world. So, Remote multilingual support service has become increasingly important for businesses and organizations. Usually, clients prefer to do business in their native language. Of course, each organization handles its management differently but there are a few important basics we want to mention here. It will be useful for companies that work with the consumers in English speaking countries who prefer languages other than English. If you pay attention to this information it will maximize your company’s safety and overall success. Good service providers take care if the complex technology, they are operating. Their service has to be effective and meet their client’s needs as well. According to the research, 61.6 million individuals, both foreign and the U.S. born, who speak a language other than English at home. Companies lose more than $62 billion due to poor customer service. And these are just the most important facts regarding the multilingual support service advantages. But there are much more pluses. Our goal is providing our clients’ customers with the highest quality language support. We know that customer support is a key to language barriers arise. 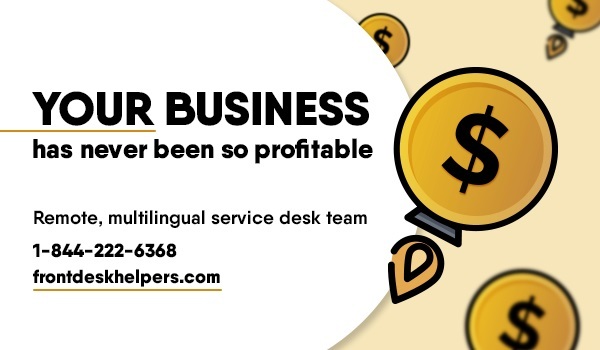 Every day our dedicated and experienced multilingual experts will meet the demands of your company by delivering the best customer service via phone, mail and live-chat and improved reporting to your company’s front office. Our multilingual service representatives will keep your business run smoothly, reducing costs and minimizing service expenses. You don’t have to hire onsite accountants, secretaries, managers and other specialists speaking every language you consumers do. We already have a solution for you! We prepared a well-trained customer multilingual service representatives and developed our in-house software and multilingual web development team. That makes our offer more flexible and the range of the services almost limitless. We provide with an experience efficient and responsive end-user multilingual support through every phase of workflow via our online and phone support. Our helpdesk support solution always will be delivered depending on your requirements and be earning the trust of your non-English speaking customers as well as those of them who are limited-English-proficient. – Prompt solutions to end user requests; – Access to a required language expert (English, Russian, Spanish, etc); – Completing company secretarial, managerial, back office, and other related duties as assigned; – Extended 24/7 help desk service support. – A proactive, positive help desk experience support. We have proven ourselves time and again to be flexible and willing to adapt to your’s requirements as well. Our customer service is one of the best with its remote staff, including the remote multilingual support option. Our purpose is to ensure our end-users experience minimum waiting time for resolving their issues and to realize substantial savings on HR costs for our client. We, also, have an experience of meeting the needs of large and small organizations. Our remote multilingual support team has always tried to go way beyond the call of duty to meet our client’s needs and expectations. So, if you decide to try our service you’ll get pleasantly surprised with great company and work ethic. Our team are easily contactable and provide excellent multilingual customer service. Contact us without any hesitation!